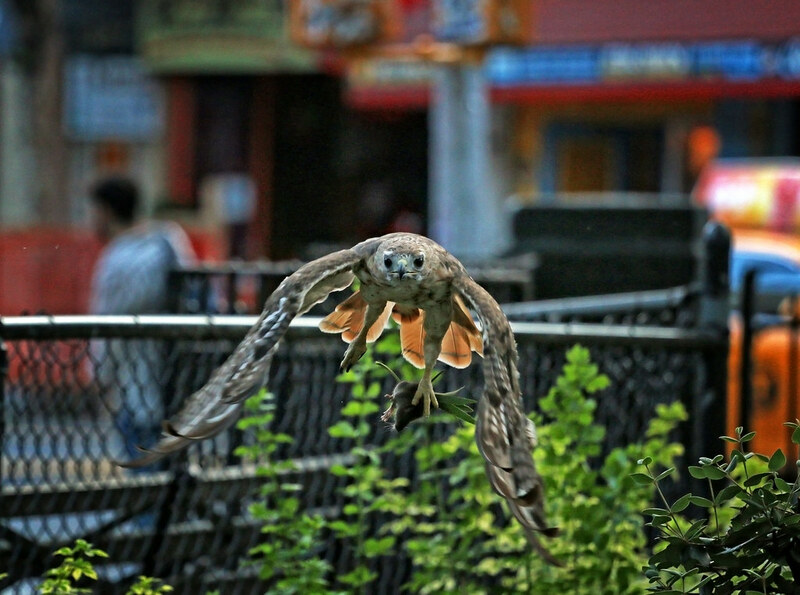 It looks to be a time of transition in the Tompkins Square hawk world. 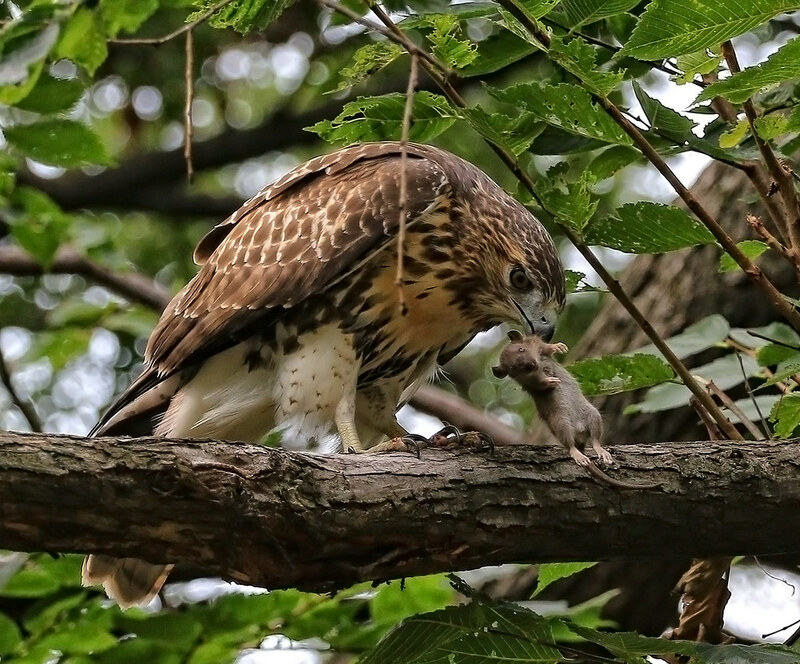 I've not seen the older two fledglings (or mom Dora) in several days. This doesn't mean they're not around, but to my knowledge, they've not been in the park. ...and dropped the mouse on the ground three times before finally eating it. Five-second rule?? 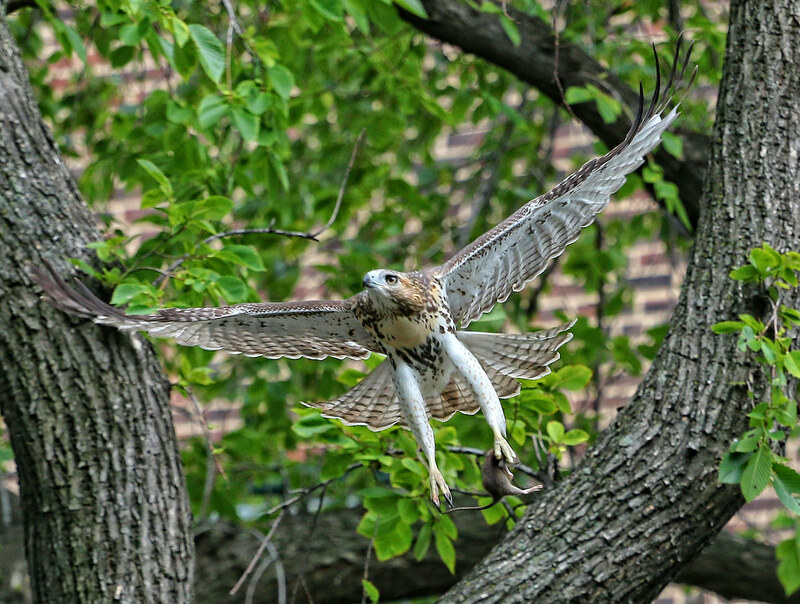 Then, just like that, the hawk vanished somewhere over Avenue B and I've not seen it since. 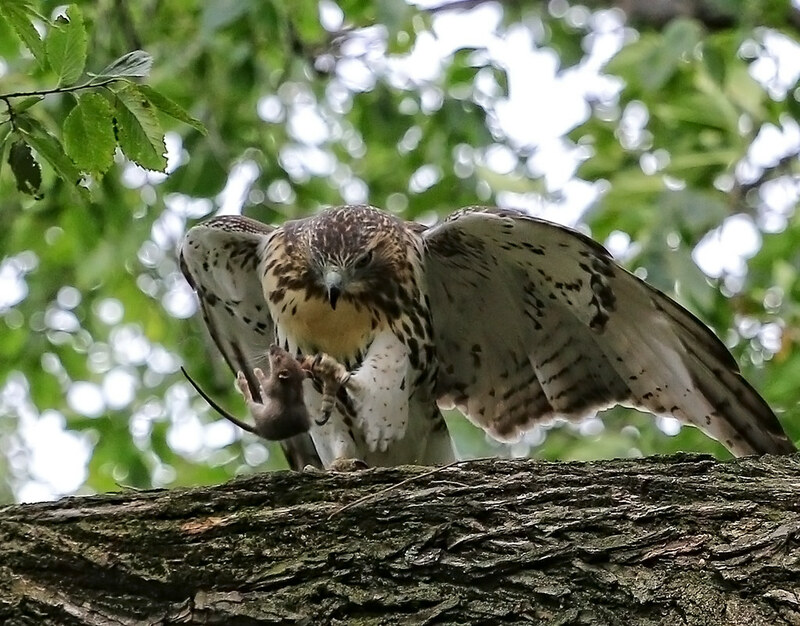 However, it looks like dad Christo has been spending the last several nights roosting in the park. I take this as a good sign - perhaps if he is lording over his territory, he plans to stay. 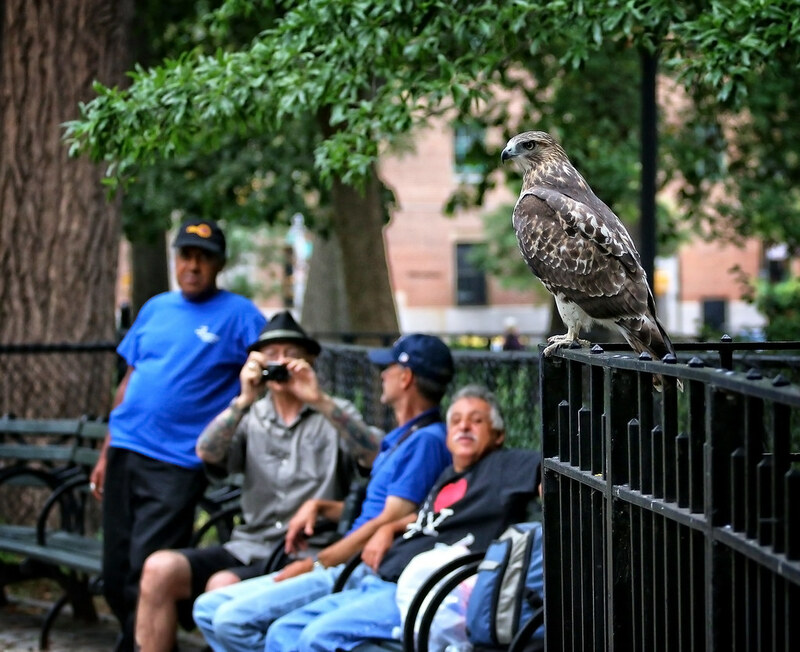 This evening, he grabbed a quick dinner along Avenue A before settling into his nighttime perch near the chess tables.